"Bombay: the Gateway to India." 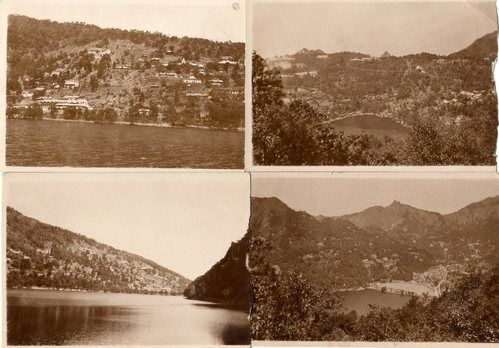 In his first tour of India Dad had no camera, but from 1929 (after a leave in England where he met my mother) he had a Kodak Brownie box camera - more or less a small cardboard box with a fixed lens and a shutter, and sent snaps to my mother to illustrate his many letters. 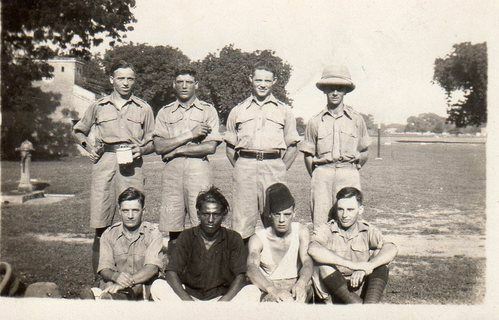 Most have disappeared but these few were salvaged and they present a unique view of the Anglo-Indian world through the eyes of a young trooper. His comments on the backs are in quotes. The picture below is my favorite. 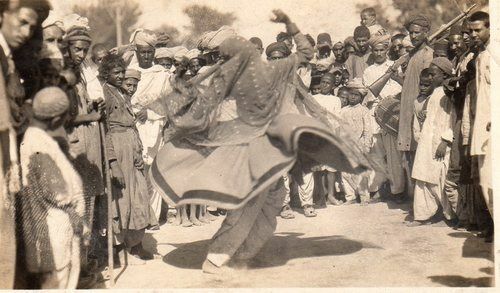 The tribal men and boys (visiting Peshawar for a taste of urban thrills) don't look much different from those we see today almost ninety years later, except that the long-barreled rifles would likely now be Kalashnikovs. 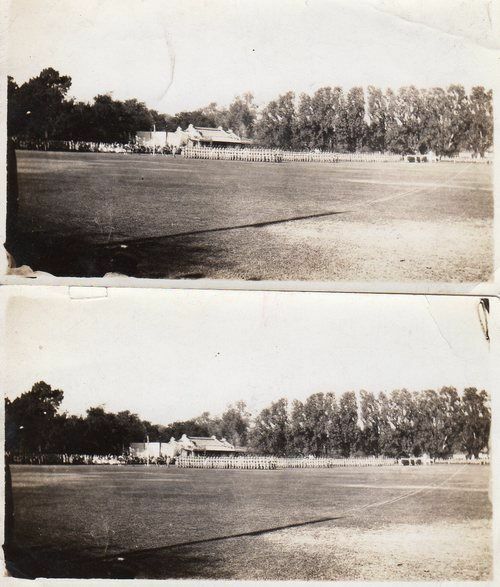 "2nd Battalion King's Own Yorkshire Light Infantry trooping the color, Peshawar Cricket Ground." 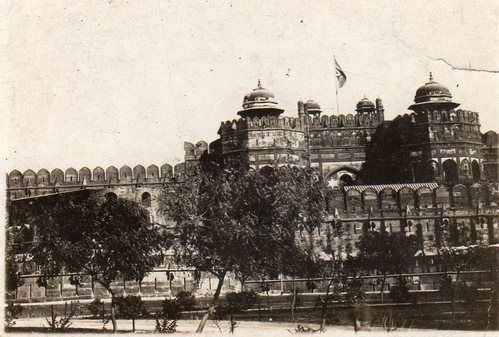 "Agra, the Red Fort. Taken from outside. Quite a good snap." He had a few of the Taj Mahal across the way from the fort, but they have been lost. He told my mother the love story of Shah Jehan and Mumtaz Mahal in his letters. This is one of the notorious cannons to which mutineers were strapped (across the muzzle) and then blown apart. 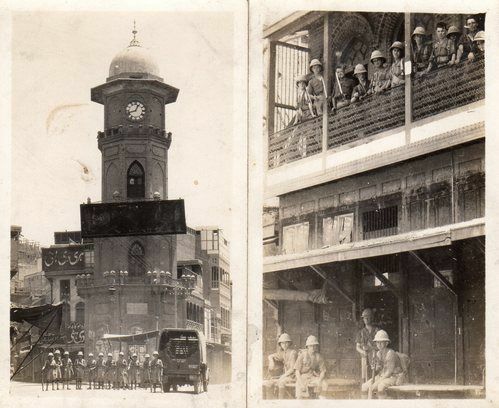 "In the city (Peshawar) Christmas Day 1931"
(Riot duty was the thing he disliked the most. There was honor in battling the tribes who were fierce fighting men, and it was a "fair fight" - man-to-man, bayonet-to-sword - but "crowd control was for coppers, not soldiers" he used to say. "Marching in the city." Marching unarmed was supposed to indicate "benign resolve" the men were told . Marching in the city (Peshawar), this time with weapons again. 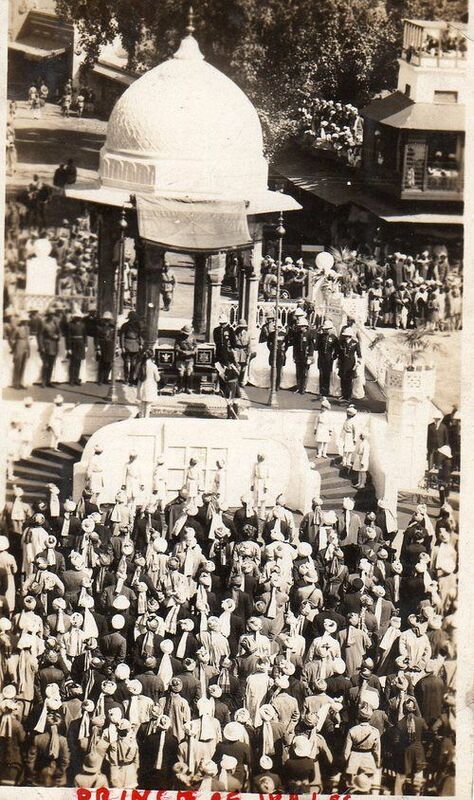 Note the Sikh officer with his British counterpart, and the mysterious dark turbanned figure in front of them. 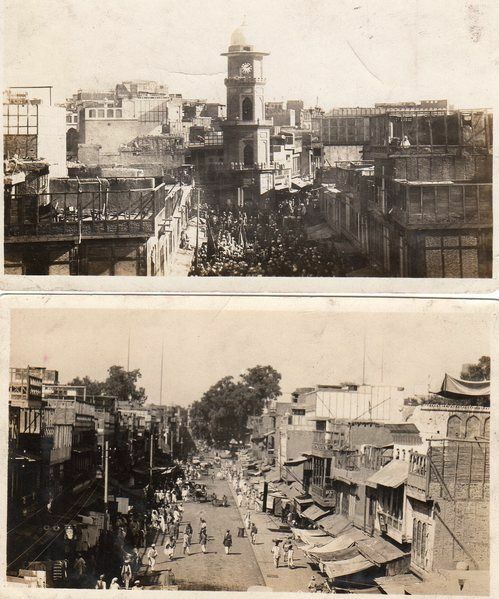 "In the bazar during the riots" One street crowded; one street cleared. "Occupying the Congress House during the riots." (1931) The "riots" were of course instigated by the "Gandhi men"and their Congress Party. "Spencer and the chah wallas." Not sure about Spencer, but the "chah wallas" were the indispensable dispensers of tea in the barracks. Of equal importance were the "punka wallas" who kept the overhead fans working by pedaling with their feet, but who sometimes fell asleep. 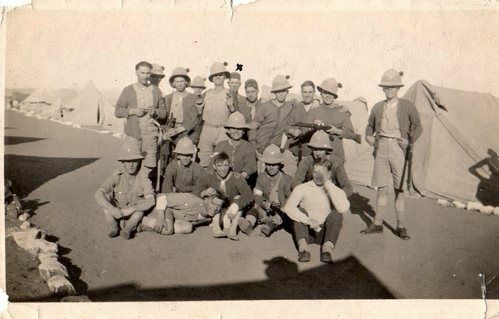 One lad was assigned to "kick the punka walla" if that happened during the post- lunch siesta. 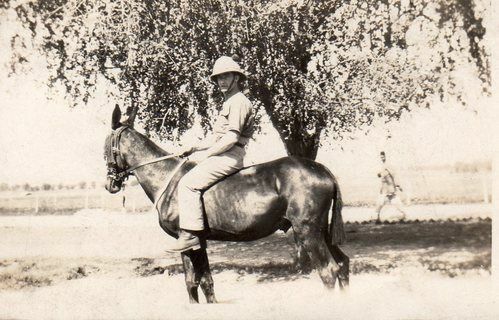 This is not dad but a mate who was responsible for the mules which carried everything for the soldiers. The mules were much admired as sure-footed, patient and tough animals, and were well cared for. 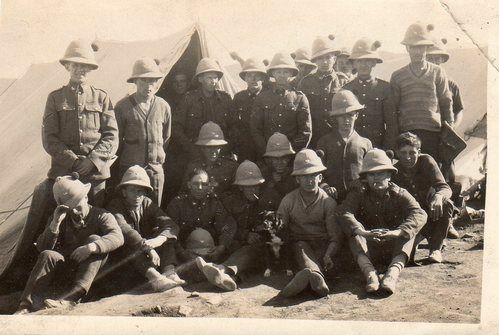 Horses were for the officers and considered generally useless by the men, occupying too much of a soldier's time and effort with no tangible benefits. 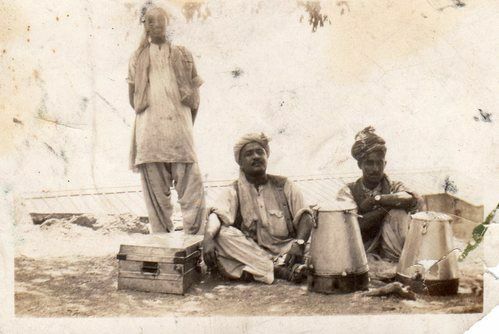 With the water carrier whose fez has been borrowed. Shades of Gunga Din! 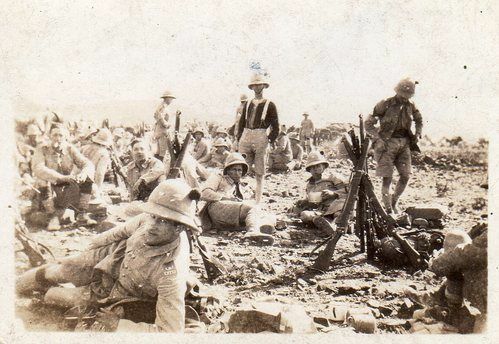 There was great raport and genuine friendship between the troopers and their Indian auxiliaries. The Lads had a pact between themselves that while in India they would not go forward for promotion since that might break them up. 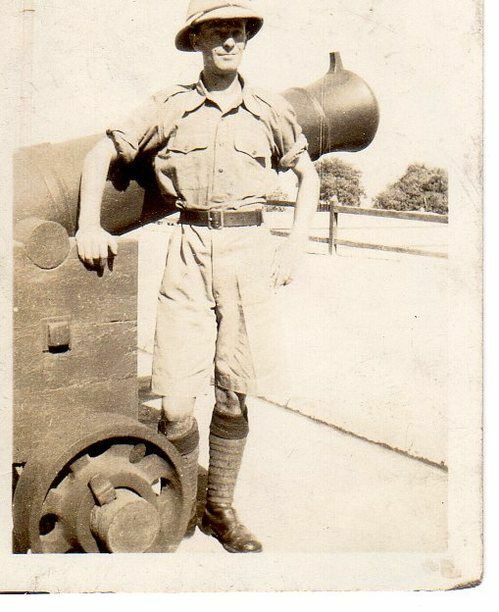 Dad was a signaller first class and got extra pay for marksmanship. But that was as far as he would go. "Yours truly with a smile on his face." 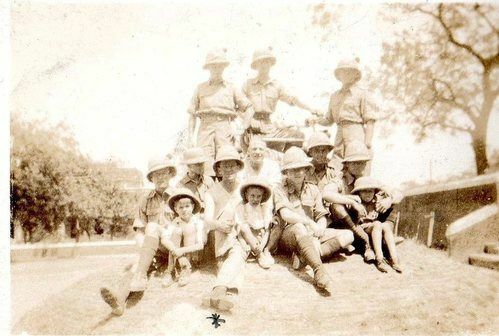 The children of the regiment in their solar topees. How I wished I had been one of them! Dad was largely interested in just getting back alive. But you always, he said, saved one bullet just in case you were the last man standing, considering what they did to the captured "Johnnies." 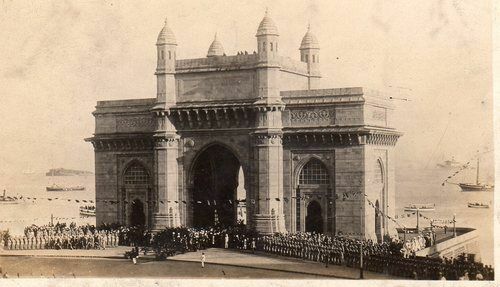 "The Gateway to India. Bombay. Prince of Wales visit." 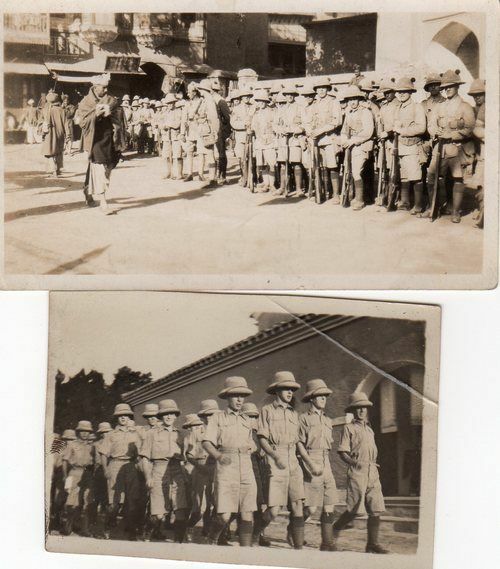 "Prince of Wales in Peshawar." 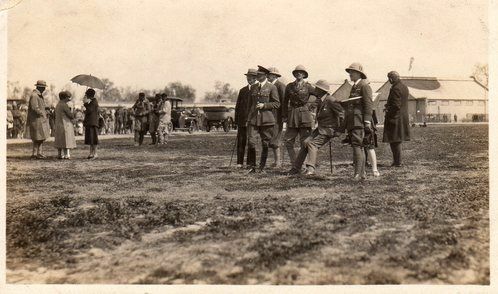 This was the future Edward VIII at the height of his popularity as PoW. After the abdication his name was never spoken in our house. 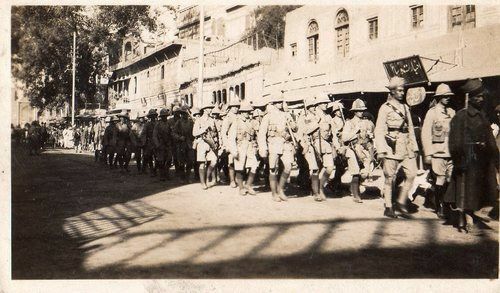 Something about this snapshot epitomizes the Raj: an English prince with a handful of British officers and Indian servants (note the page boys on the stairs) looks out over the native masses, with the unseen regiments offstage, but ready. These photos are unique and have a real historical value. 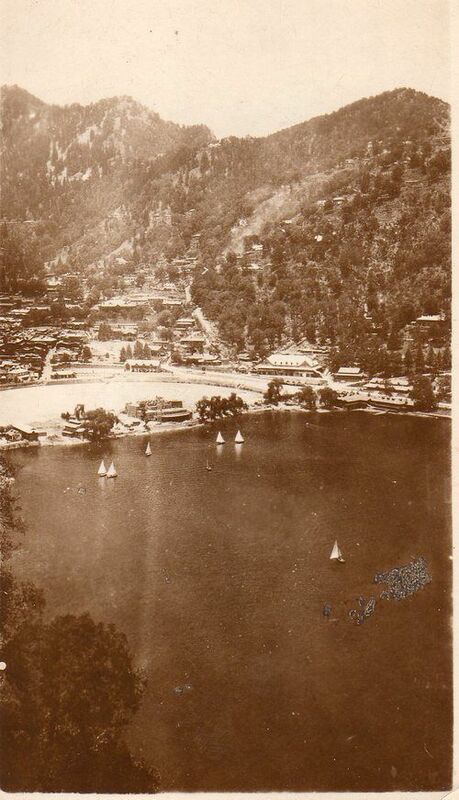 The reason Dad could take this "from above" photo was that as a first-class marksman he was stationed on "sniper duty" on one of the highest buildings, and took his Brownie with him. "Relief from Kabul. King of Afghanistan." "Waiting for the second relief from Kabul." Pictures of this extraordinary episode are in Participant Observer with details of the action. 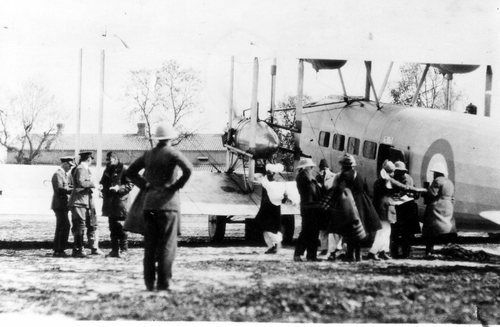 Here British dignitaries, officers and their wives wait at a British airfiled (outside Peshawar) for the "Relief from Kabul" carrying members of the King's court. 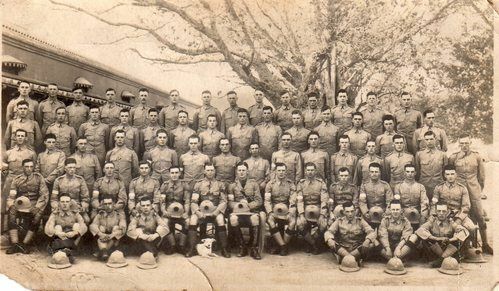 Dad was one of the signallers assigned to this operation and took these unofficial pictures with his Brownie box camera. But Russian intrigue, conservative opposition and above all the revolt of rival tribes, drove him out and the country collapsed back into its tribal, feuding condition. 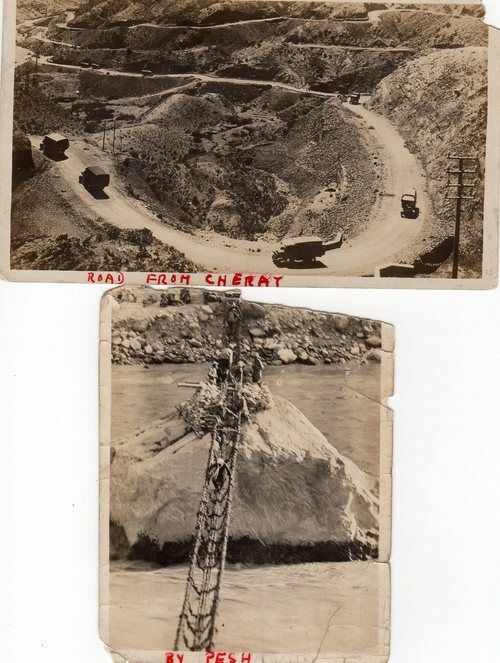 The thing my father remembered most was a survivor of the King's entourage telling how the tribal rebels had crucified many royal supporters on each side of the road into Kabul. When I told him just before he died that the Russians were back in Afghanistan, he replied: "They were never out." A few years later they invaded in earnest. 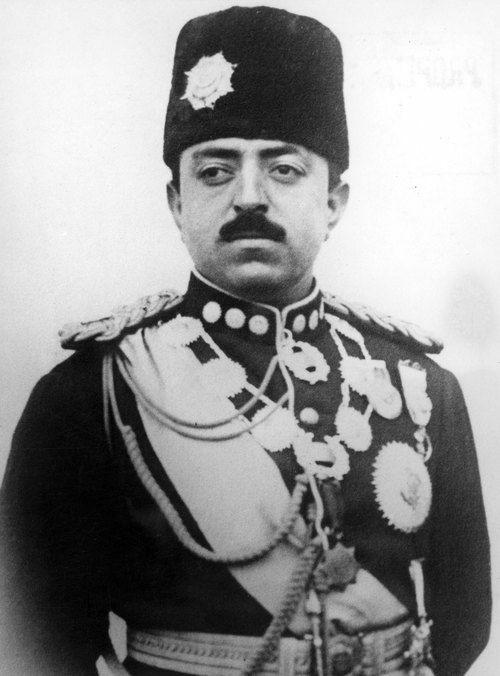 He was dead then, but it was his opinion to the end that Western Civilization might founder in Afghanistan. 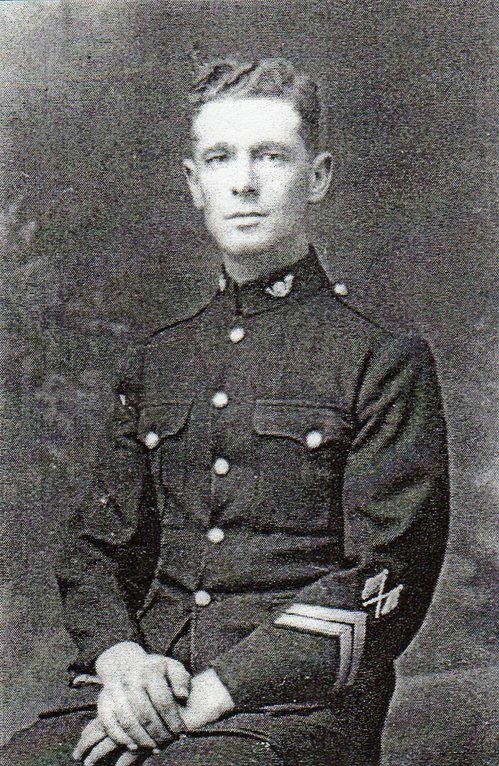 Dad in dress uniform. Note the crossed flags denoting signaller, and the 'white rose in a bugle' collar badge denoting KOYLI. Not bad for a boy who at sixteen ran away from his family because they wouldn't save his dog; the dog that had been unjustly put down for attacking a neighbour who had provoked it. 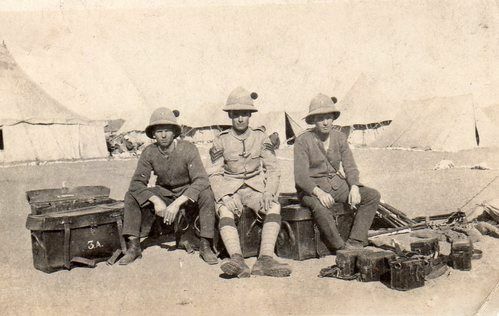 He lied about his age and was enlisted in the KOYLI regiment in Pontefract, Yorkshire and sent to Dover Castle on the south coast where he stood guard in an ill-fitting uniform and with an unloaded gun, before being shipped off to India. The farm boy from Yorkshire helped to save a king. (See Participant Observer for more details of his life. I grew up thinking HM Queen Mary pinned on his medal. She was the honorary colonel of the regiment - she must have therefore officially approved it, but a lesser dignitary (possibly an actual colonel) did the pinning. 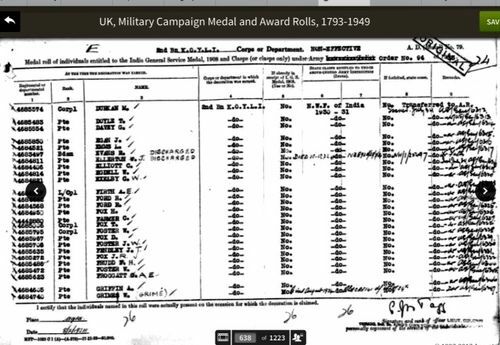 Below: A correspondent, Peter Hanlon, whose father William was also in the 2nd Battalion KOYLI, sent me this copy of a page from the roll of British Army Medals and Awards where you will see Dad listed sixth from the end. 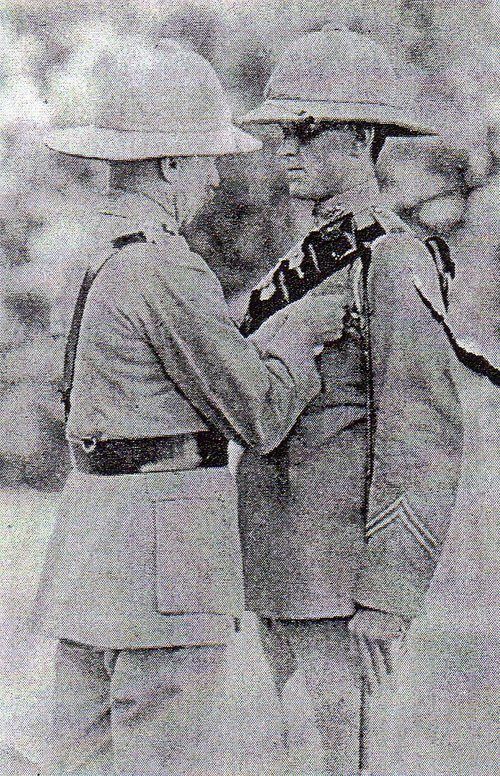 This was for the India General Service Medal, and for the NWF (Northwest Frontier) Medal. For a brilliant and harrowing modern novel about war in Afghanistan today read Green on Blue: A Novel by Elliot Ackerman, NY Scribner, 2015. They don't come better than this. He has just published a second marvellous novel Dark at the Gates, taking place on the Turkey-Syria border. Not to be missed.